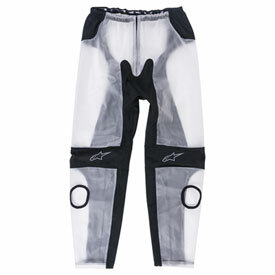 Waterproof pants for track use in wet conditions, designed to be worn over the top of leather suit. PU coated ergonomic stretch inserts on crotch and legs. Reflective details on the Pants for improved rider visibility.